As most of you will know already, a new law on data protection will come into force on 25 May 2018 – General Data Protection Regulation (GDPR), the privacy notice below, relates to this change in legislation. If you are a Member then we need to keep your name and your contact details. 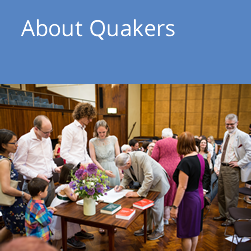 We will always share your name by publishing it in our annual List of Members & Attenders and by sharing it with the Britain Yearly Meeting membership database. You have a choice about whether your contact details (e.g. address, email, etc.) are shared and about how we use your data. You can state what you agree to on our Data Consent Form. If you are an Attender you do not have to give us your name or your contact details. If you do provide your details, you have a choice about how we use your data and you can state what you agree to on our Data Consent Form. 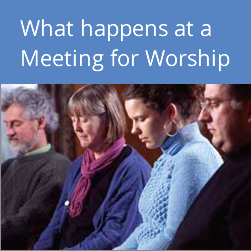 Generally your personal information will only be seen by appropriate staff and committee members of the Meeting (and Britain Yearly Meeting if you are a member, as above). You can use our Data Consent Form to give consent for your information to be used more widely. We will keep your personal information while you continue to be a Member or Attender of our Meeting. If you stop being, then we will generally keep all your personal information until the next annual records update, although we will be able to delete some or all of your information immediately if you ask us to. We can only amend the printed copy of the List of Members & Attenders annually. You can also withdraw your consent at any time – please contact us in writing using the details at the bottom of this notice if you wish to do so. As above, we can only amend the printed copy of the List of Members & Attenders annually. If you have ever given us a donation by cheque or by paying into one of our bank accounts then we need to keep a record of that transaction for up to 7 years for audit purposes. We will not keep a record of your bank account number or sort code. If you have filled in a Gift Aid form we will also keep that for 7 years. If we have reimbursed you for any expenses then we also need to keep a record of that transaction for up to 7 years. If you give us your bank details (e.g. for a BACS transfer) then we will keep them on file initially. We will destroy the written record within 2 years but your details will remain at our bank. Sometimes we will collect and use your data for a specific purpose (e.g. ‘Death Form’; forms for registration for an event). In those cases the form we use will explain what we plan to do with the information and how long it will be kept. We will update your details when you ask us to or when you complete a new Data Consent Form. We work to safeguard the information that we use and we follow Britain Yearly Meeting’s data protection policy which complies with current legislation. 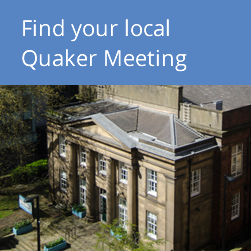 In addition to communication which is necessary for the administration of the Meeting, we would like to be able to contact you about Quaker work, e.g. by sending you electronic notices, letting you know about forthcoming events, sending you minutes, etc. You do not have to agree to receive this communication and you can state what you agree to on our Data Consent Form. You can ask us to stop contacting you at any time. Any automatic mailing lists we use will offer the chance to ‘unsubscribe’. If you would like to know what information we hold about you, or to make a complaint about how we have used your data, please contact the Area Meeting Executive Officer, who is responsible for our compliance with data protection law. You can also ask the Executive Officer if you have any questions about this Privacy Notice.